With S/4HANA 1709 few weeks old, there is very little out there in terms of troubleshooting issues during installations. We setup the Initial Shipment release for one of our clients in Canada and came across two issues. Find anything out of order? 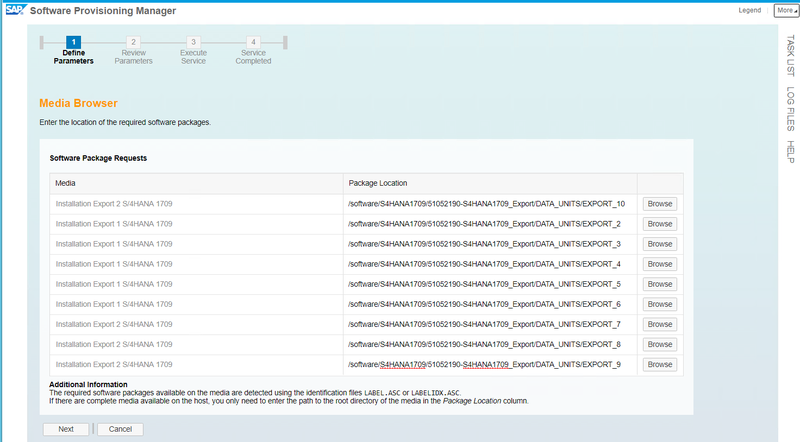 Issue starts with steps/screens asking for folder locations for S/4HANA 1709 Export. This combination allows us to move on successfully. 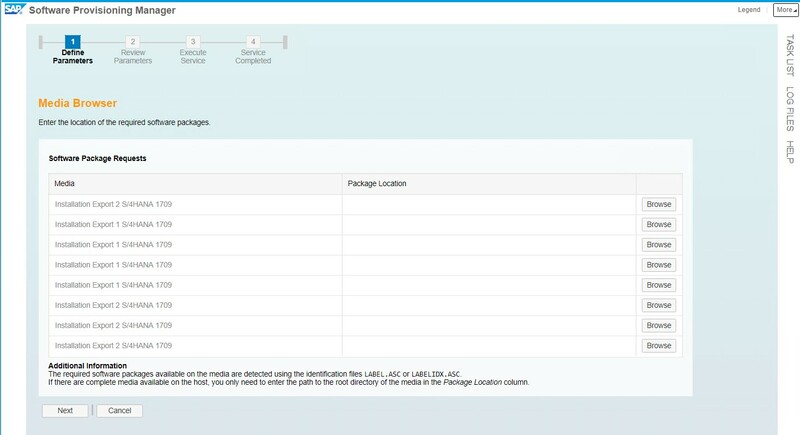 When we used this stack XML with latest SWPM (SWPM 1.0 SP21 Patch 2), while installing S/4HANA 1709, we faced an error where SWPM expected media for Fiori FES. Since this was not an embedded deployment, I realised something is amiss. We opened a message with SAP Support but despite prompt responses, together we could not find a solution. Resulting XML does not contain Fiori components of course and it did allow our installation to complete smoothly. For Fiori FES, I generated a separate stack XML. I would add another entry here, but only if there are more funny surprises in store for me during post installation activities!